Bret Michaels’ Facebook page is being updated now by someone close him, and definitely someone close to monitor his situation. Everyone at Michaels Entertainment would like to thank all fans and friends for their continued thoughts and prayers through this difficult time. At this point Bret remains in ICU in critical condition. He is under 24 hour doctors care and supervision. We are hopeful that further tests will locate the source of the bleeding, which has still not been located. As we all know Bret is a fighter and we are hopeful that once all is complete the slurred speech, blurred vision and dizziness, etc. will be eliminated and all functions will return to normal. 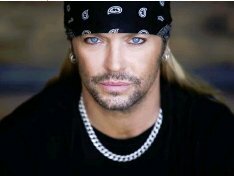 There is also a link to Bret Michael’s Twitter profile that states that who ever follows will be updated with the latest information on Bret Michaels.